2 per Pack. RRP: £9.99. Odour and moisture remover designed for footwear. Place in shoes between wearing to keep fresh. 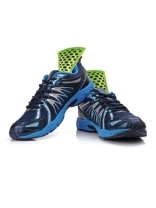 Made to fit in athletic shoes, boots, sports gear and more. remodeez neutralises odour using activated charcoal derived from coconut husks to absorb odour at the source.